There may be many Hemp Recipes out there, but have you seen this broccoli soup recipe with hemp “bacon” bits? It looks like a delicious warm and hearty soup for the winter, and healthy to boot! Hemp Seed Hearts are an excellent source of omega fatty acids, and they’re high in protein, rich in fibre and loaded with vitamins and minerals. What’s not to love about these nutritious and nutty-tasting gems? If you love bacon bits, but would like a healthier alternative, you can make your own hemp bits with hemp seed hearts, liquid smoke and soy sauce. Breakfast cookies are a nutritious morning snack and we’ve chosen to add this delicious-looking recipe to our Hemp Recipes. There are so many options for cookie ingredients, from fruit and nuts to grains and seeds. This recipe embraces the fall season with pumpkin as its base. These pumpkin cookies are gluten-free and vegan-friendly, with oats replacing flour and mashed bananas instead of eggs. For a big boost of nutrition and flavour, Hemp Seed Hearts are added to the mix, providing a balanced source of Omega-3 and Omega-6 essential fatty acids. Hemp Seed Hearts also provide other phytonutrients, including phytosterols and carotenes, as well as vitamin E, calcium, iron, magnesium, zinc, and potassium. Hemp seed hearts contain no cholesterol, no sodium, no trans-fat and are gluten free. They have a pleasant nutty flavour and are delicious on salads, cereals, yogurt or cooked grains. Breakfast cookies with a healthy punch are the perfect solution for busy mornings or back-to-school snacks. They can also be broken up and sprinkled over bowls of yogurt or cereal. A summer harvest of beautifully ripe home-grown tomatoes calls for this delicious gazpacho soup to be added to your collection of Hemp Recipes. It’s simple, cooling, and has a tasty pizzazz of flavours. Tomatoes, cucumbers, bell peppers and red onion combined with some basic kitchen ingredients, creates this traditional Spanish gazpacho soup. The addition of hemp seed hearts is a healthy replacement for the stale bread that is traditionally included, and they’re an excellent source of protein, iron, and essential amino acids to boot. They’re also a balanced source of Omega-6 and Omega-3 essential fatty acids. Hemp seed hearts add a tasty nutty flavour to the soup and give it a wonderful texture. Click here to read more and to access the recipe. Hemp seeds truly are a superfood, and it’s great to have some Hemp Recipes on hand, to make the most of these delicious, nutritious little seeds. After being one of the trendiest words used in food marketing over the past several years, the term superfood has lost its impact, as any trend will do. Between 2011 and 2015 the number of new products claiming superfood status increased a whopping 202% globally, 30% of which were launched in the U.S. So after years of overuse, the term superfood doesn’t really hold much weight anymore, and it doesn’t help that many consumers were unsure of its meaning in the first place. We can assume that being a superfood means containing an extra boost of nutrition, but when the word ends up plastered over a plethora of new products, it’s hard to know which ones are genuinely super and which are just marketing ploys. One superfood that holds very true to its name are hemp seeds. If marijuana comes to mind, think again. The misconception that hemp and marijuana are the same species, has hindered the research of hemp, its health benefits, and its placement on store shelves. 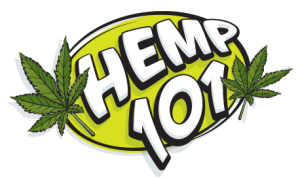 Although hemp and marijuana come from the same plant, hemp differs in that its THC content is less than 0.3%. Hemp seeds are called a superfood because they are heaped with nutrients. Click here to read more, and to discover a tasty recipe for no-bake protein bars. So you’ve never tried Hemp Hearts? Well, read on to get some great Hemp Recipes, and to find out why these nutty little seeds should not be overlooked! Perhaps you’ve noticed hemp heart products on the shelves at your local food store but you’ve chosen to buy the more popular kind of seed, like flax or chia. Well, do yourself a favour – next time you’re cruising the super seed aisle, add a bag of hemp hearts to your cart. Treat your taste buds to their delicious nutty flavour, and your body to the health benefits these nutrition-packed seeds have to offer. Hemp hearts, (shelled hemp seeds), have more anti-inflammatory omega-3 and omega-6 fatty acids than flax or chia, and they’re packed with protein. In a standard serving of 30 grams, (3 tablespoons), there are 10 grams of protein, twice the amount of flax or chia. A little hemp goes a long way. Add them daily to your smoothie, breakfast cereal or salad, to boost your nutrition intake. Click here to discover 6 new Hemp Recipes. Hemp Seed Hearts are healthy and delicious and it’s great to have a collection of Hemp Recipes on hand. We tend to think that Hemp Seed Hearts are just for smoothies or sprinkling over salads and cereals, but there are so many other delicious ways to add hemp seed hearts to your diet. Try this recipe for chickpea fusilli in hemp tahini sauce and you’ll discover a simple way to make a quick dinner for your family that is healthy, nutritious and, of course, delicious! The hemp tahini sauce has a hint of spice and wonderful flavour and the red bell peppers add a fresh and colourful presentation. Hemp offers a rich source of digestible protein and the essential fatty acids necessary for a healthy human life, so adding hemp seed hearts to your daily meals is a great way to maintain a healthy diet. It’s time for a new salad to be added to your collection of Hemp Recipes! Melissa d’Arabian recommends chasing away the winter blahs of San Diego (and elsewhere) with this wonderful winter salad, high in protein with brussels sprouts and hemp seed hearts. It can be a long few months waiting for the promise of spring and warmer days. Over winter we all spend more time indoors, and the winter blahs can come creeping in. To combat the blahs, d’Arabian focuses on her diet. Your diet can have a direct impact on your mood, so if you’re feeling blue, take a look at what you’re eating. Cut out processed sugar foods and up your intake of veggies, protein, fibre and healthy fats. The ‘Winter Salad with Avocado Ranch Dressing’ recipe is just what you’ll need to add a healthy dose of nutrients and Omegas to your diet. You can top it off with a portion of poached or roasted salmon to increase the omega and protein count, but you’ll probably find the salad to be filling enough all on its own. Click here to get the full story and the recipe. Souping is the latest trend in the U.S. and it’s starting to gain popularity in Britain as well. Add souping detox recipes to your Hemp Recipes collection and treat your body to a nutritious cleanse. So what is souping? It’s a cleanse much like the juice cleanses we’re used to. The theory is that rather than eating solid meals, sipping on soups is easier on the body’s digestive system and resets our bodies to optimal performance. One nutritionist comments on how souping is superior to juicing because while soups are full of fibre, vitamins and minerals like juice, they don’t contain the sugars that juices have. There are several souping detox recipes to explore. Click here to discover a breakfast soup recipe that contains hemp protein that will give you a morning boost. Dietitian Beth Bennett of Beachwood, Ohio, uses protein-packed smoothies to help her cancer patients. Two of her favourite smoothie recipes are the Green Warrior Protein Smoothie and the Super Protein Power Smoothie. The Green Warrior Protein Smoothie contains hemp seed hearts, and a delicious list of other ingredients, including grapefruit juice, apples and cucumber, so we recommend you add it to your Hemp Recipes! This smoothie is a good source of iron, vitamin C and A, calcium, as well as protein. Click here to get the recipes and try them for yourself!